Morning.... Thought I would share a quick card with you this morning using the Festive Folk set from Lili Of The Valley. This one is a rubber set but in case you want any digi images you only have until tomorrow to pick them up before they are no longer available! The image was stamped onto Neenah Solar white card stock and coloured in with Copic markers. 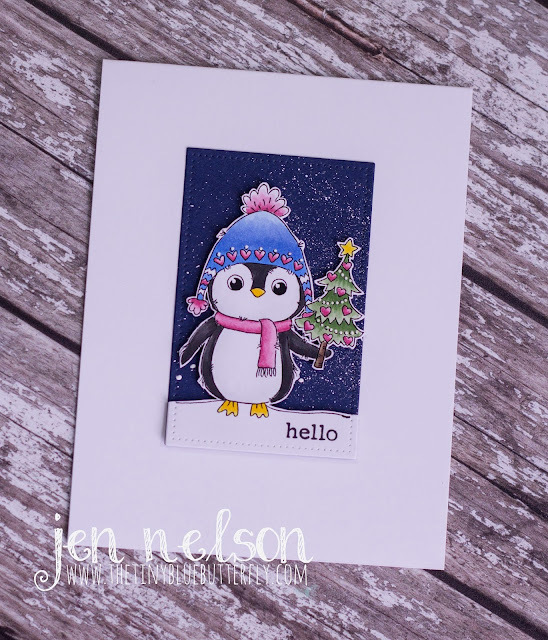 I then fussy cut around the cute penguin extending the base out to give some snow. I splattered Copic Opaque White onto a scrap of dark blue card stock and then trimmed each into a panel using avery elle pierced rectangle. A quick hello sentiment from CBS and then mounted onto a card base made from Neenah 110lb card stock. I am off to watch OVO Cirque du Soleil this afternoon with my Mum then hopefully I will make it to the Ice hockey tonight. Good Morning.. sorry its been a while, I was locked out of google for 3-4 weeks along with some heavy work travel to Germany over August. 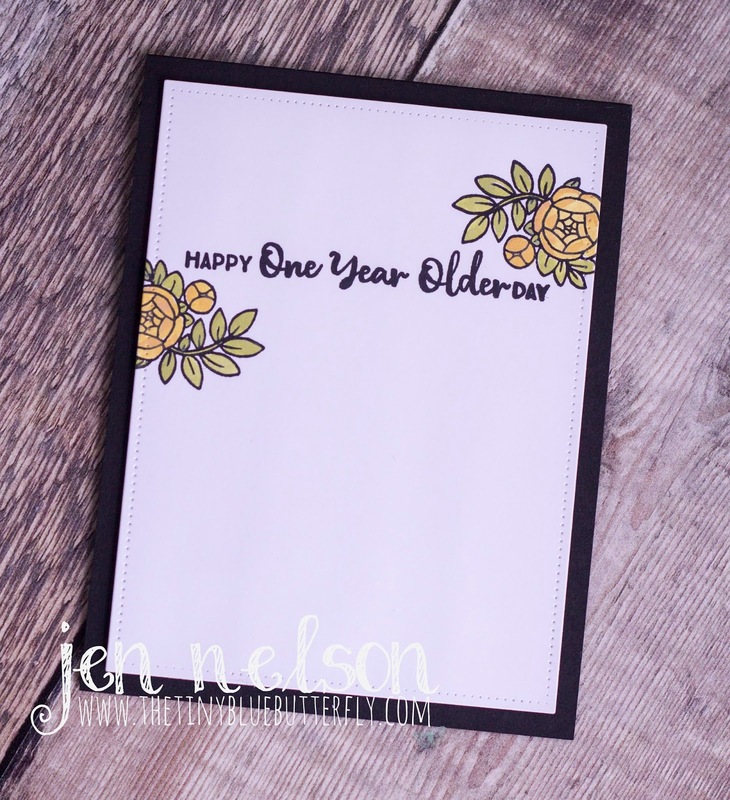 In the back ground I have still been crafting so I thought I would share a little card with you! The flowers from Honeybee Zen flowers are coloured in with distress oxides and the panel cut out using Avery Elle pierced rectangle.